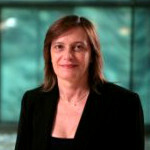 Dr Marie-Paule Kieny was appointed WHO Assistant Director-General for Health Systems and Innovation in November 2012. Dr Kieny was WHO Assistant Director-General for Innovation, Information, Evidence and Research from October 2010-November 2012. Prior to this, Dr Kieny directed the WHO Initiative for Vaccine Research since its inception in 2001. Major successes under her leadership were the development and licensing of new vaccines against meningitis, and against pandemic influenza in developing countries through pioneering the transfer of technology and know-how. Vaccines against poverty-related diseases and those that disproportionately affect poor and marginalized populations are continuing priorities since her first role in WHO with the Special Programme for Research and Training in Tropical Diseases in 2001. Before coming to WHO, Dr Kieny held top research positions in the public and private sectors of her home country, France. The positions included Assistant Scientific Director of Transgene S.A. from 1981 to 1988, and Director of Research and Head of the Hepatitis C Virus Molecular Virology Group at the Institute of Virology, Institut national de la santé et de la recherche médicale (INSERM) from 1999 to 2000. She received her PhD in Microbiology from the University of Montpelier in 1980, where she was also awarded a University Diploma in Economics, and her Diplôme d’Habilitation à Diriger des Recherches from the University of Strasbourg in 1995. Dr Kieny has published over 250 articles and reviews, mainly in the areas of infectious diseases, immunology and vaccinology. Dr Kieny was awarded the coveted Chevalier de l’Ordre National du Mérite, au titre du Ministère de la Recherche (2000); the Prix Génération 2000-Impact Médecin (1994); and the Prix de l'Innovation Rhône-Poulenc (1991).